As your liaison to the postal system, our focus is to make sure your creative direction meets postal specs and qualifies for maximum rate discounts. Shape, size and weight, as well as paper stock, texture, and color are all important. 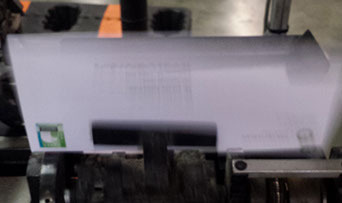 How the piece is folded, as well as delivery address placement are also factors in how well your mail will travel through the postal system, and how much it will cost. Merge/purge combines multiple files, while eliminating cross-over between them. De-duping can be customized to remove only exact duplicates, near matches, to allow/not allow multiple names at the same company, etc. A file can be segmented by any field information within the record. Want to mail to only certain zipcodes?....or those within a given radius? Or maybe you want to mail to customers with sales volume above or below a certain level. Or do an A/B file split for testing of different offers, messages, etc. Standardization of files improves deliverability by identifying problem elements and correcting them to USPS specs. Address enhancement, by upper/lower casing, genderizing and adding prefixes, boosts the personal impact. National Change of Address (NCOA) compares files with the most recent move update information from the Postal Service, to make sure you're mailing to current addresses. 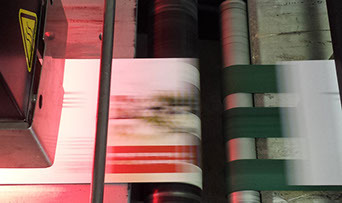 We provide digital imaging, both simplex and duplex, on text weight papers and card stock, in sizes up to 11 x 17. Colored inks and script fonts can add interest to the inkjetting of envelopes, cards, and self mailers. 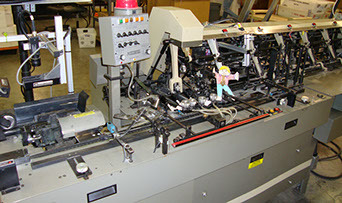 Inserting capabilities include closed face, window, and poly envelopes; sizes up to 13 x 19, and multiple matched pieces. A letter or card with customized messaging captures attention and involves the customer like nothing else. And it allows you to vary that message to fit the recipient, with conditional text based on any information in the file: past history, business type, geographic area. How great it is to be able to get real-time feedback on the mail, once we’ve handed it over to the postal service system! Our use of the Intelligent Mail Barcode (IMB) on each piece transmits data back to us as it passes scan points throughout the system. So if a client thinks their mail might be lost? Phones are not ringing yet? We can see what’s going on with each mailing as a whole, and even search for individual pieces as necessary. And we’ll also set your company up with a client portal, so reports can be directly accessed from your desktop. Get more information on tracking here! Are you looking to add prospects that match the profile of existing customers? Whatever the target audience.... families with children and high income, physicians, manufacturers with 100+ employees, pet owners, new residents...Talco can provide it. We market more than 50,000 different mailing lists. Hand assembly projects, literature requests, samples, etc. 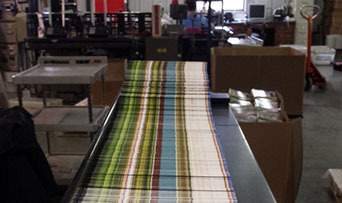 are processed carefully and quickly for mailing or shipment. Reporting software is customized to provide just the format and information required for your tracking application. And we'll also help out on the back end with batching or keying of responses.